Dr Mandy Reid has a wonderful job at the Australian Museum in Sydney looking after the museum’s enormous collection of molluscs: gastropods, bivalves, cephalopods and brachiopods. Her particular research interest is cephalopod taxonomy (cuttlefish, squid and octopus) and she is currently studying some of the smaller representatives of that group, the sepiolids, or dumpling squids and pygmy squids. 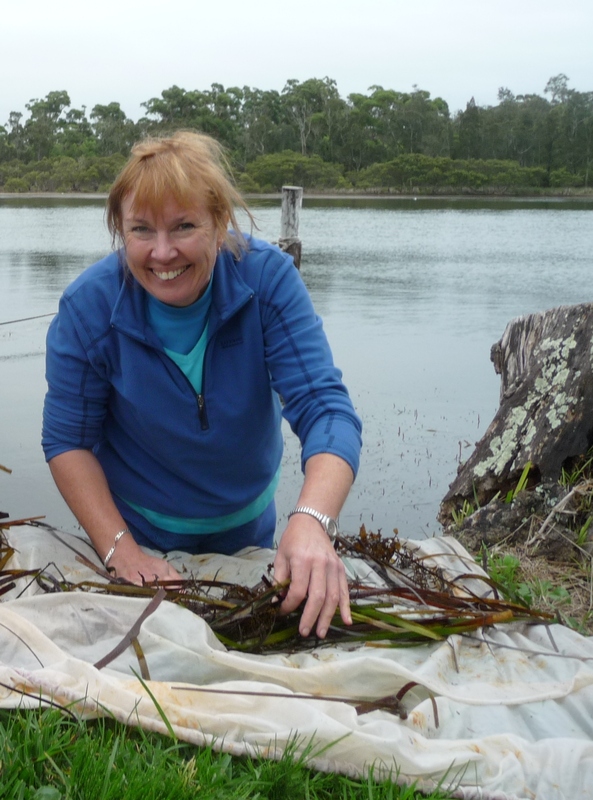 The museum has a number of new species in Australian waters that Mandy is in the process of describing. In the past Mandy has also worked on polychaete taxonomy (marine worms) and for her PhD studied a completely different group, the terrestrial Onychophora, or velvet worms. 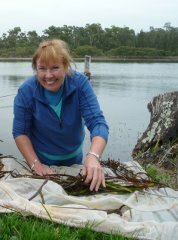 In addition to her busy role as Collection Manager for molluscs, she is working on a book The Cephalopods of Australia: including subantarctic territories. With my work colleague, Steve Keable, we are hoping to collect a diverse range of marine invertebrates (animals without backbones) so they can be studied by specialist researchers from New Zealand, Australia, and around the world to gain a better understanding of the Kermadec marine fauna. I am particularly interested in collecting squid and octopus to add to museum collections and want to preserve some specimens that can be used for DNA studies. I also have a ‘wish list’ of particular groups to collect given to me by researchers in our mollusc department who are very keen to study animals from the Kermadecs. I have a good knowledge of how to correctly collect and preserve marine molluscs so they will be useful for research. I will be able to identify the cephalopods collected and determine whether they belong to species that are already known or are new to science. I also have a healthy sense of fun and hope I can be good company to other people on the trip! It is hard to describe a ‘typical day’ because every day is a different one at the museum. My day might consist of answering enquiries from the public, looking after our collections (doing things like registering and labelling specimens and putting them in their correct locations), examining specimens under the microscope, writing reports, looking after our mollusc library, co-ordinating our Technical staff and volunteers and assigning tasks, attending meetings, or looking after visiting researchers. Sometimes I am very lucky to go on fieldtrips such as this one to the Kermadecs!